These are 3 posters for the 3 art shows I currently have art in. 1. 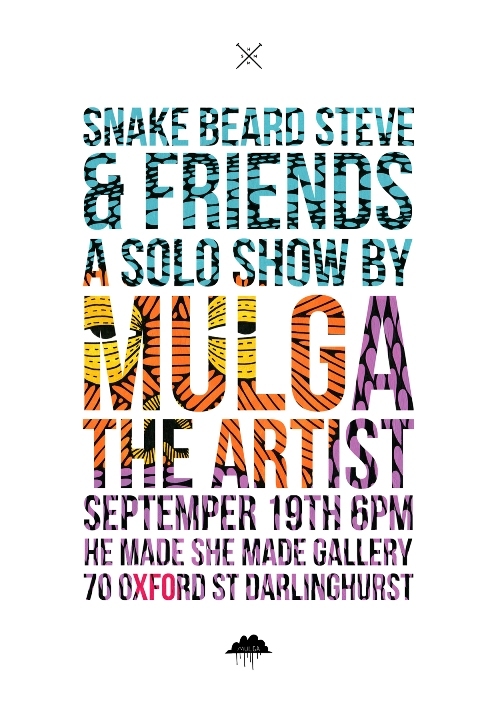 Snake Turban Steve and Friends runs till 12 October. 2. 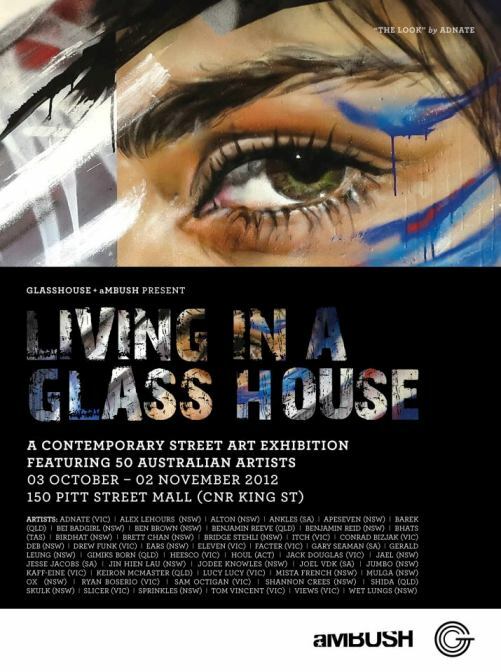 Living in a Glasshouse runs till 2 November 2012. 3. Good Jelly Sketchbook Exhibition runs till October 2018. Go and check them out if you are in the vicinity. 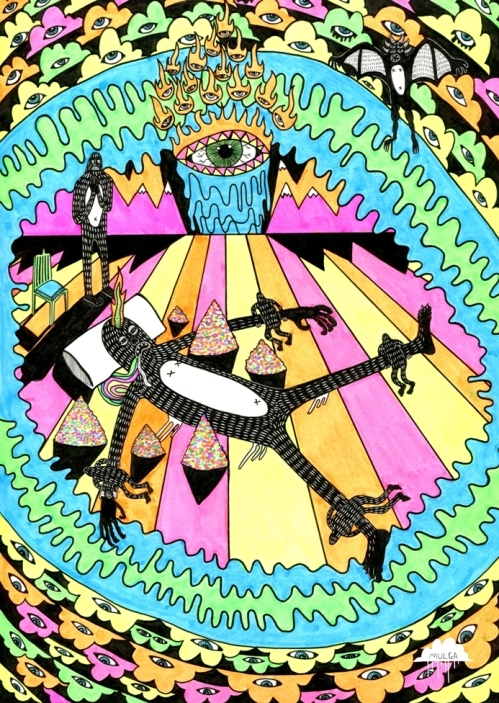 Buy a print of this for $20 at my Magical Online Shop. 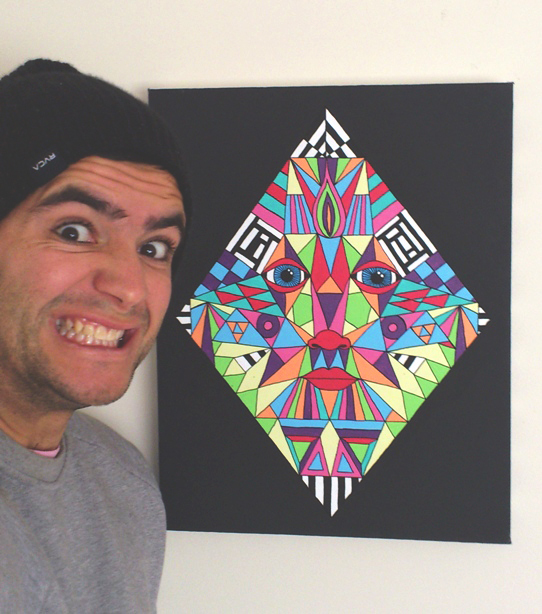 Anouncing my first art show in the heart of Sydney city. It’s going to be full of beards and zombies and bananas and magicness and new creatures great and small. Come along if you dare. Yew!! I drew this for Bearded Gentleman Music. 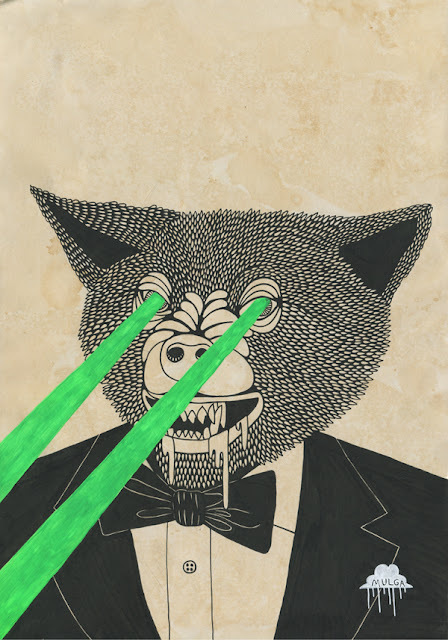 This is a painting of the hilarious Fozzie Bear I did for the upcoming Good Jelly sketchbook exhibition in Wollongong. 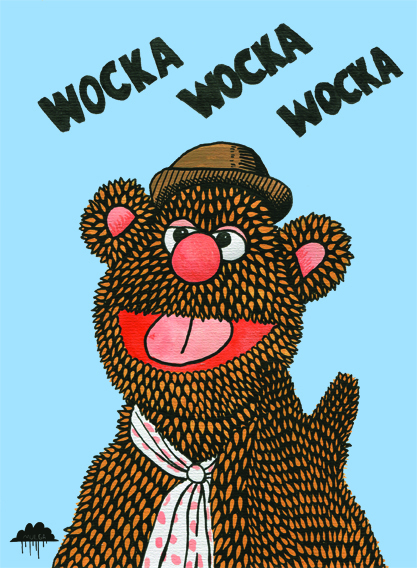 He says Wocka, wocka, wocka after he tells a joke! In case you have been living under a rock somewhere, we have made some sweet logo and design changes to the site and our various social media outlets. 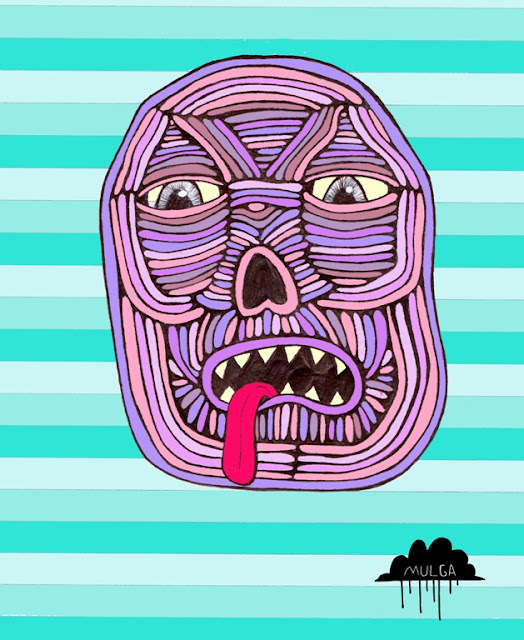 We now have a new custom designed logo / artwork from an Australian artist named Mulga. I randomly discovered Mulga’s art when I was searching the term “afro with a beard” on Google images (I’m strange I know, I just REALLY love Afros and beards are magical) . In my search I discovered this amazing drawing called “The Majestic Afro and Beard of Jungle Man” which was a piece that Mulga had created based on a picture of Tunde Adebimpe from TV on the Radio. 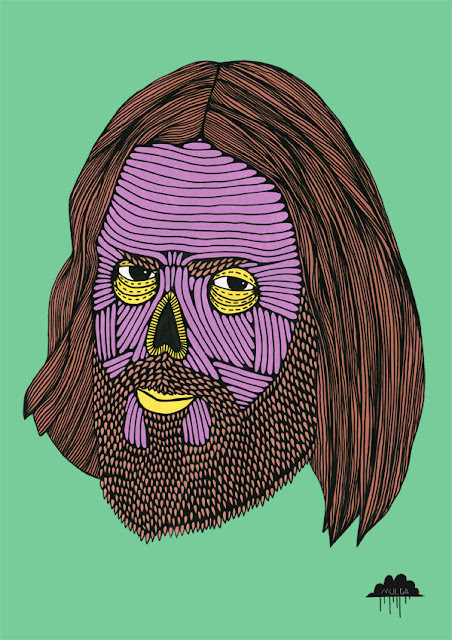 The intricacy and line work of the drawing were mind blowing and upon visiting his blog I also discovered that he was also obsessed with the mystical power of beards (see our first post) and zombie’s (two of my favorite things) so I began internet stalking him for a couple months. 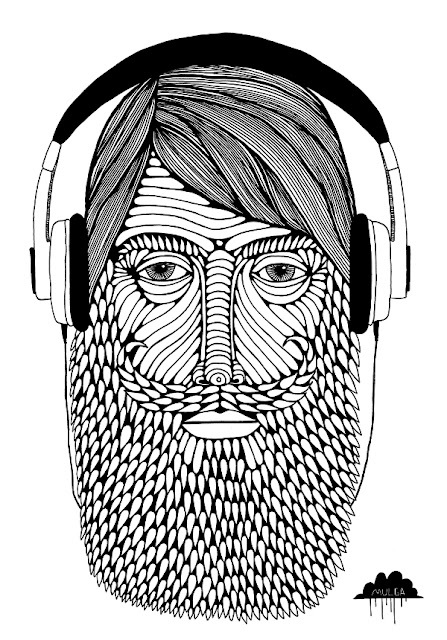 After all of the stalking and admiring of all his new art he was creating, I finally got in touch with him and asked if he would be willing to create us an amazing piece of bearded art. He accepted and created us “Harry The Hipster”. 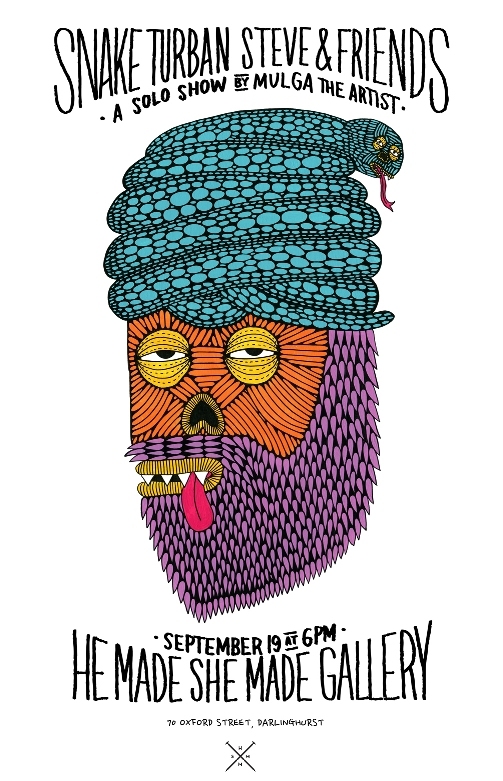 Now, I know I am bit biased but “Hairy the Hipster has to be one of the greatest pieces of all time, far surpassing “The Mona Lisa” or “The Scream” or any other sub par paintings of that sort. I mean look at that picture, isn’t that insanely awesome!? So, to tie this all back into music. I would like to mention that Mulga is also a musician and performs in his band Mulgas Room. They make some cool songs. Their latest “O’er the Hills” is a pretty catchy and well written tune. 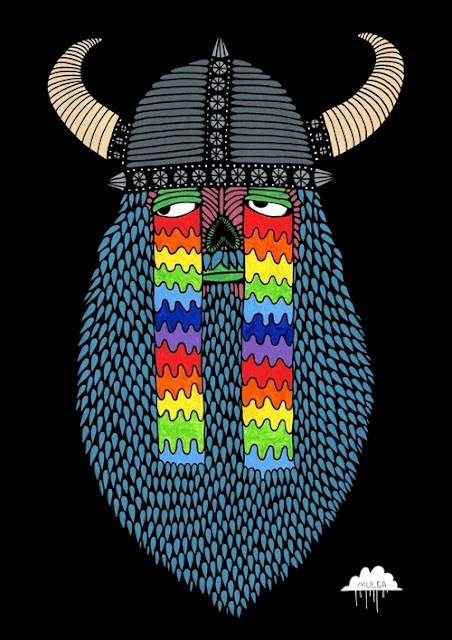 Here are a few other of my favorite pieces of art that Mulga has created. you dig any of his stuff get in touch and I’m sure he would be stoked to hook you up, or sell you a print of any pieces that you like. 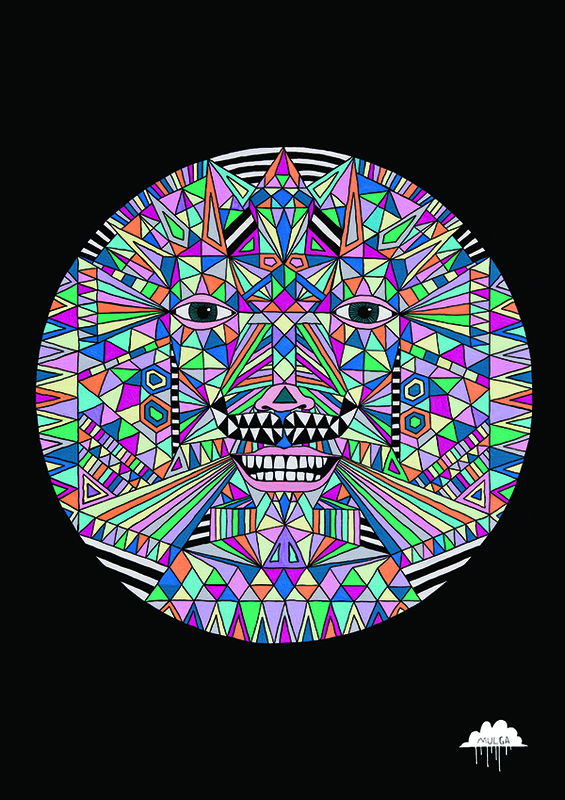 If you look around on the internet there are a bunch of independent artists out there creating a lot of really great and interesting art work. When you get some time to waste I encourage everyone to hop on the ol’ net and do some searching. That’s how I found Mulga and my life and everyone else’s life that’s associated with BGM has taken a turn for the better. 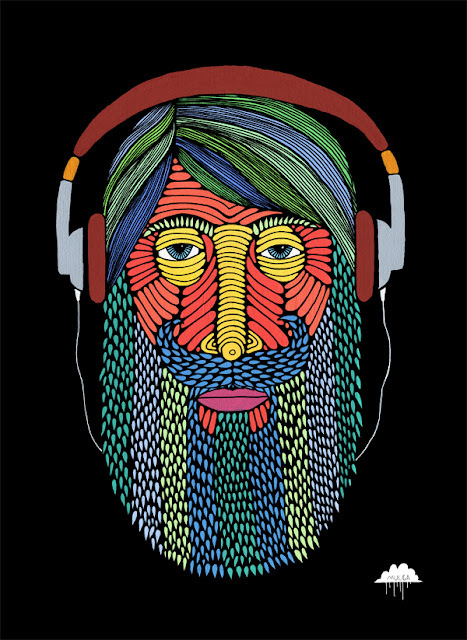 Because music, movies, and art are gifts from the gods. Haha. This is a recent commission I completed. Gary the Gorilla will be sitting in my sketchbook which will be at the Good Jelly sketchbook exhibition on the 3rd of September at Wollongong. 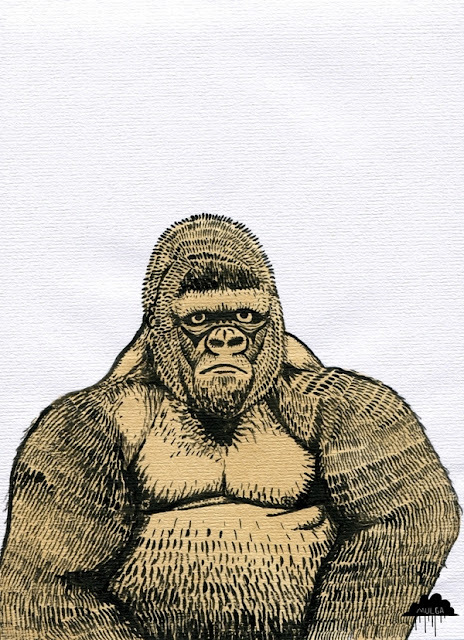 There will be 29 other pages with Gary’s friends in the sketchbook. Yew! 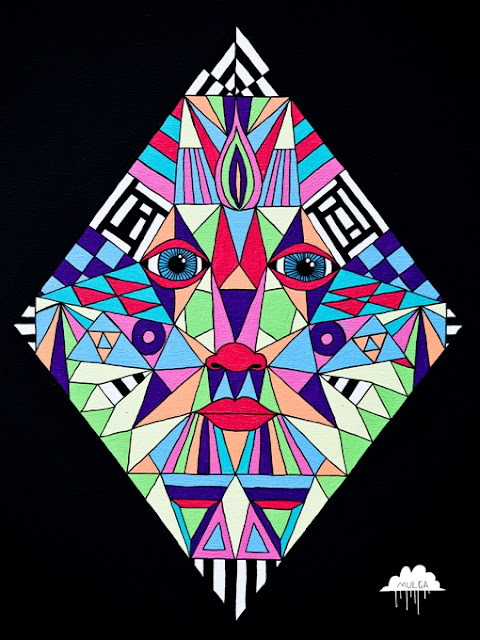 Prints available at my magical online shop. Did you know Ned Kelly was a hipster? This drawing is based on a photo of him the day before his execution and I was struck by how fashionable he would look today. He would fit right in with the hipster vibe. 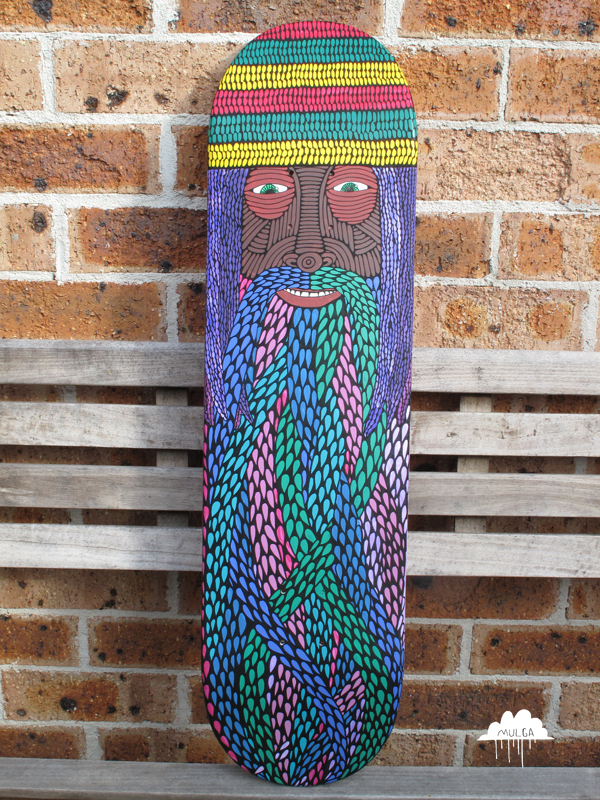 This is a skate deck I painted for my buddy Jerry, it is a rastaman just like Jerry. I call it Rastabeard. 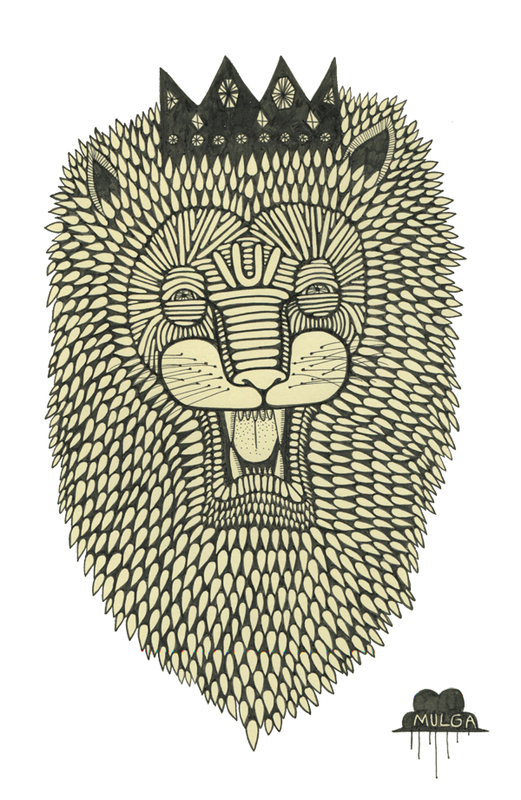 This is the illustration I did for the latest issue of Untold Method Magazine (a cool online mag with awesome art and words and stuff). My drawing is in Issue 4: Infestation, on page 11, go there to find out what it means! 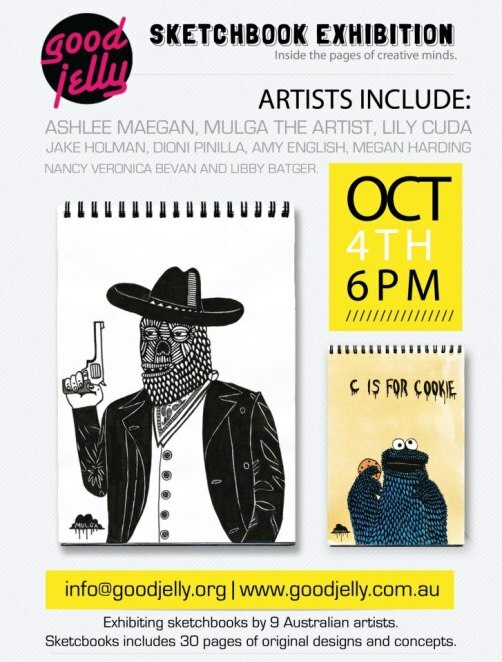 This is going to be a top night with a bunch of new art on show and for sale. 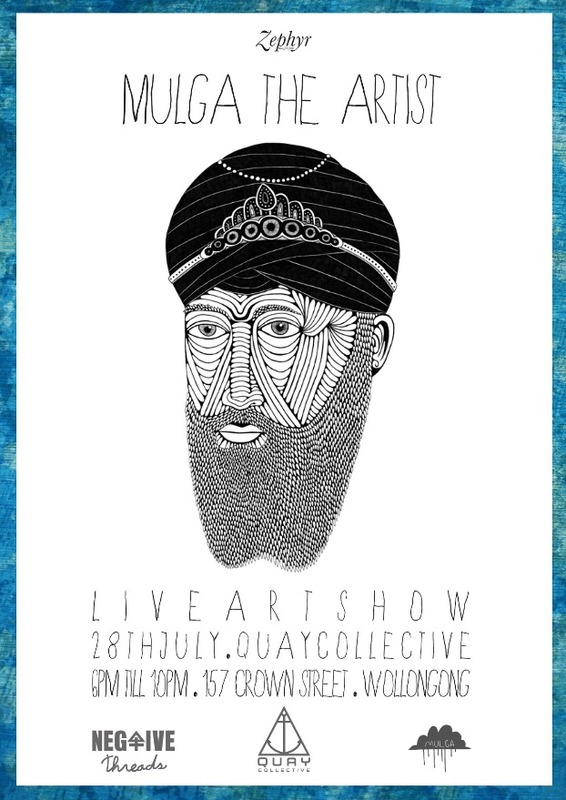 I will also be doing some live art in front of real people. Get there if you are in the area! 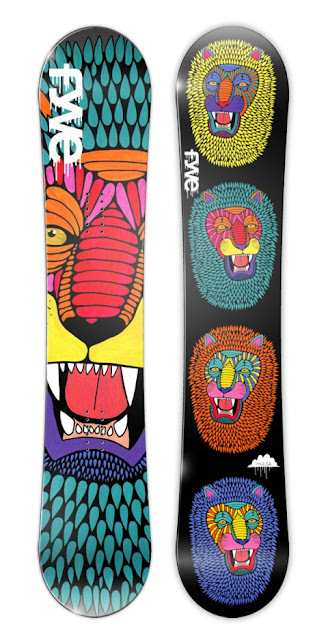 It is nice and colourful and a little bit dangerous. 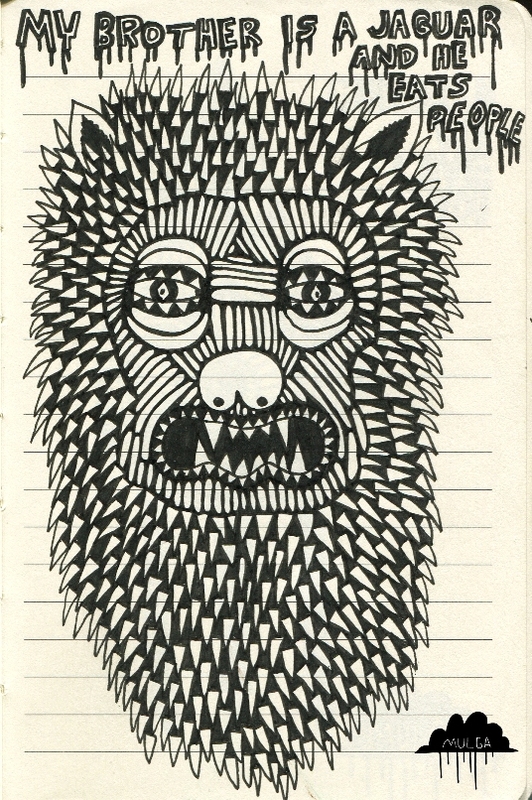 This is my latest submission for CreatureMag as part of Mulga’s Zombie Zoo. This is Diamond Head and he knows all the answers. He is kind of like the Key Master out of The Matrix although I never knew what Mr Key Master exactly did, he had a bunch of keys and they opened all kind of doors if I recall correctly. That is what Diamond Head is like except instead of doors he can open answers to any questions you may have. This original “Diamond Head Knows All The Answers” painting is for sale for $150. Email me if you want it. It would really brighten up your lounge room or dining room or bedroom or bathroom or kids room or games room or sitting room or rumpus room etc. 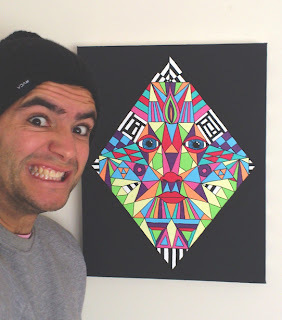 Here is a picture of me and the painting so you can see it in a real life setting. 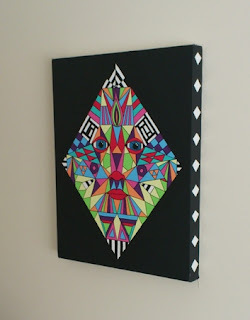 As an added feature this painting has diamond shapes on the sides as shown in the picture below. This is a truly special feature and is worth the price of admission alone.